On December 3rd, more than 100 humanities scholars, cultural organizers, educators, and students convened at UMBC to discuss their efforts over the past year to amplify the voices of Baltimore communities and to use narrative as a tool to promote change. “Reflecting on Baltimore Stories” was the culmination of a year-long series of public programs examining how stories of and about Baltimore influence the lives of its people. 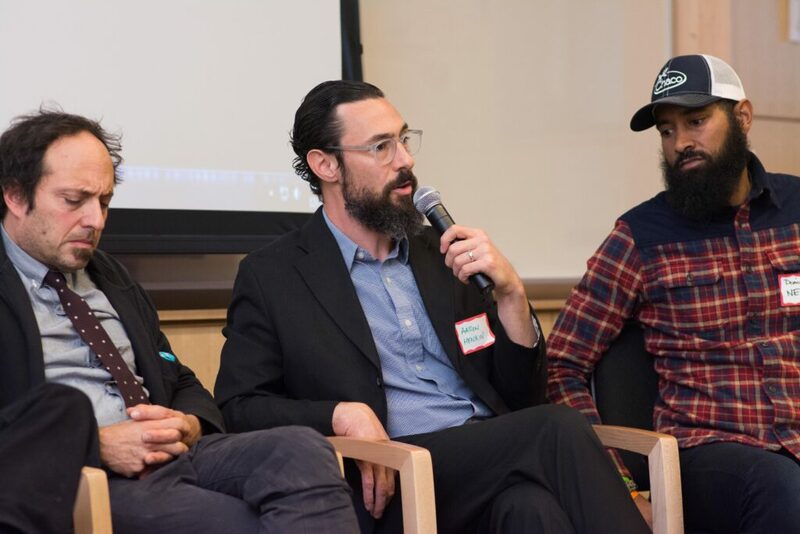 UMBC’s Dresher Center for the Humanities hosted the day-long event that considered what is changing in stories of identity in the city and what these changes mean for the future of Baltimore. Baltimore Stories, made possible by a $225,000 grant from the National Endowment for the Humanities, connected UMBC with partners University of Maryland, College Park (UMCP); Maryland Humanities; Enoch Pratt Free Library; and the Greater Baltimore Cultural Alliance. Sheri Parks, associate dean of UMCP’s Center for Synergy, and Phoebe Stein, executive director of Maryland Humanities, led the effort. This complexity was a central theme of the Baltimore Stories concluding event, which included panels and roundtable discussions on how public universities engage with their communities, the power of media and collective memory in telling stories about Baltimore, and Baltimore Stories in the context of national discussions. WYPR’s Aaron Henkin speaks during Baltimore Stories panel. Young people from UMBC’s CHOICE Program shared digital stories about their lives, and students from Midtown Academy in Baltimore spoke about the process of learning to write and publish their own creative work about Baltimore. Lee Boot, director of UMBC’s Imaging Research Center, presented Art of Transformation, a project that examines how Baltimoreans are telling their own stories to counteract misleading narratives about life in the city. Denise Meringolo, associate professor of history at UMBC, shared Preserve the Baltimore Uprising, which aims to ensure that the stories activists tell about their experiences are preserved for future historians. President Hrabowski participates during Baltimore Stories panel. Campus leaders from UMBC and UMCP approached the event as an opportunity for reflection. They discussed the genesis of Baltimore Stories and how such projects can help universities more effectively engage with their local communities. 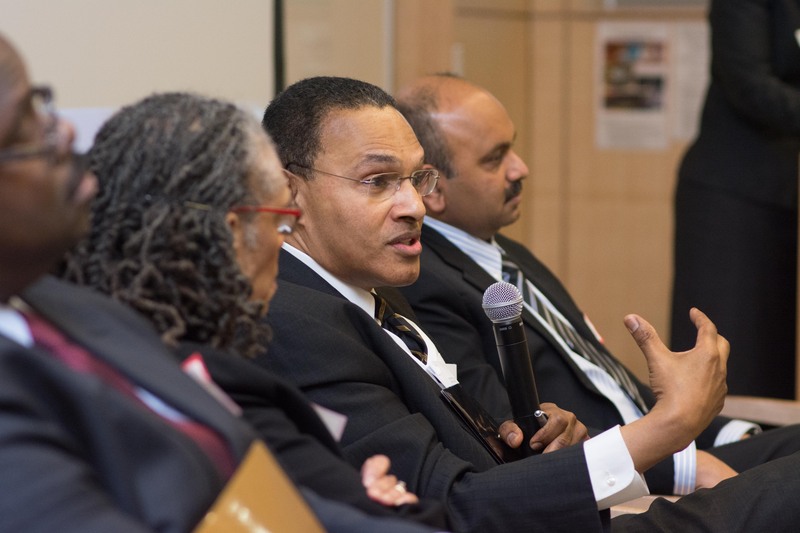 President Freeman Hrabowski‘s remarks offered a few examples from UMBC, including the BreakingGround initiative and the university’s leadership through last year’s Imagining America conference. 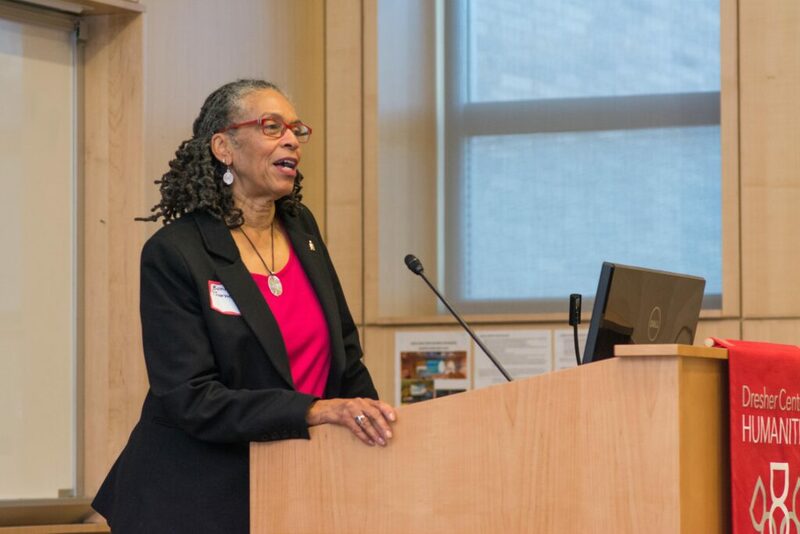 Bonnie Thornton Dill, dean of the University of Maryland College of Arts and Humanities, shared how the idea for Baltimore Stories emerged from critical conversations about more complex, nuanced, and interdisciplinary approaches to working with communities. Bonnie Thornton Dill speaks during Baltimore Stories. The Baltimore Stories project included 20 public events throughout the past year. 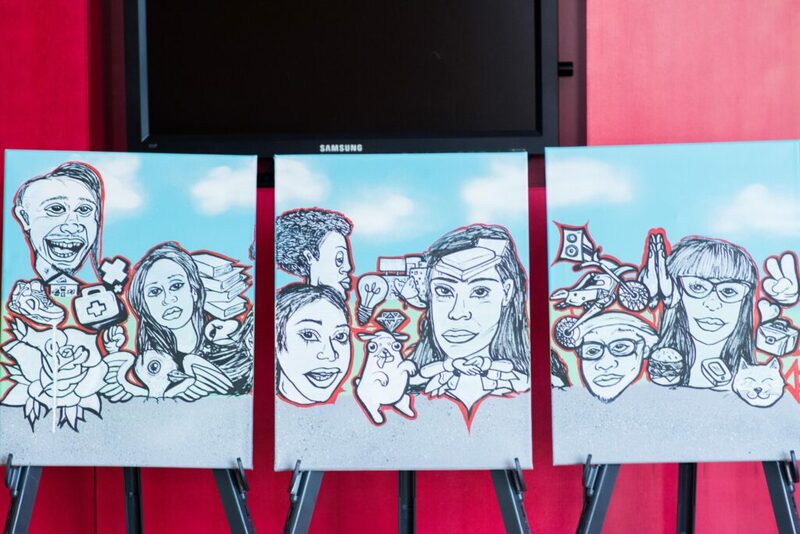 During these events, local humanities scholars, cultural organizers, artists, educators and other Baltimore residents participated in dynamic discussions about building democracy, fostering social justice, and improving Baltimore’s future. Project participants are now developing a curriculum based on this work for K-12 educators nationwide. 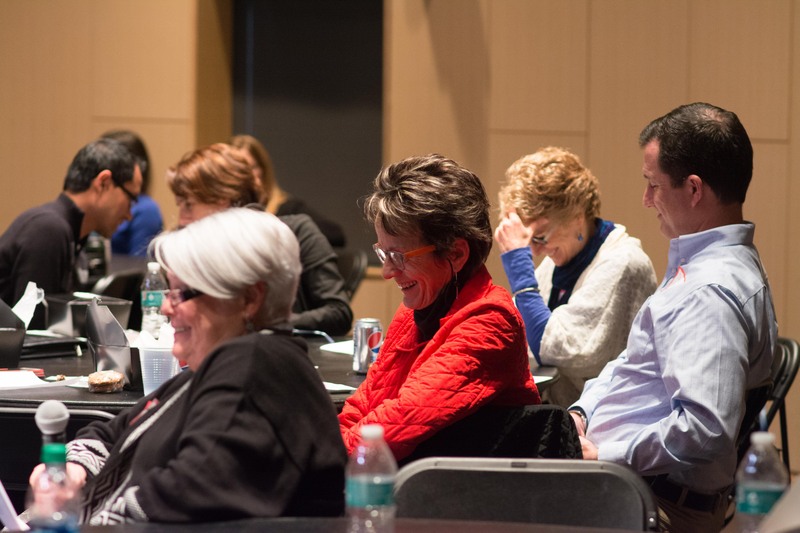 Pictured from left to right: UMBC’s Ana Maria Schwartz Caballero, Kathy O’Dell, David Hoffman, and Bev Bickel participate in roundtable during Baltimore Stories. WombWork Productions, Aaron Henkin’s Out of the Blocks, The Kids Safe Zone, New Lens, and Charm Literary Magazine are just a few of the many organizations that were involved in the Baltimore Stories project and participated at the culminating event, and partners intend to keep the collaboration and conversation going. Artwork by Maryland Institute College of Art (MICA) students Ben Hamburger and Justin Stafford on display at Baltimore Stories. “Now more than ever, it is crucial to consider the role of coalitions, forged across boundaries, in practicing public humanities and supporting the work of active and engaged communities,” said Berman. For additional coverage of the “Reflecting on Baltimore Stories” event, read “‘Baltimore Stories’ event aims to discuss race, narratives effect” in The Baltimore Sun. Header image: Baltimore Stories concluding event, December 3, 2016. All photos by Abnet Shiferaw ’11 for UMBC.